Of course, there’s a lot more to The Hukilau – the annual celebration of mid-century Polynesian Pop culture that invades Fort Lauderdale this week – than drinking rum. But for many, it’s one of the highlights. The Hukilau’s Tiki Treasures Bazaar offers a variety of mugs and glassware for sale. The Hukilau: Thursday through Sunday, June 6-9, 2013, at the Sheraton Fort Lauderdale Beach Hotel (Yankee Clipper), Best Western Oceanside, and The Mai-Kai restaurant. Schedule and more info at TheHukilau.com and Facebook. This list includes all the “official” venues for cocktails during The Hukilau’s events. Those in the know will also have the opportunity to check out private parties in guests’ hotel rooms with drinks that rival any bar in quality and authenticity. We’ll leave you to your own devices in finding these spots, but don’t be shy in seeking them out. Some of the most talented Tiki mixologists in the country may be showing off their skills. The official host hotel will be transformed into a Tiki mecca all week, with the Tiki Treasures Bazaar offering goods from vendors from across the world. While you’re browsing the booths, be sure to keep an eye out for special sample cocktails featuring sponsor Barritt’s Ginger Beer on Friday (not Thursday as originally announced). 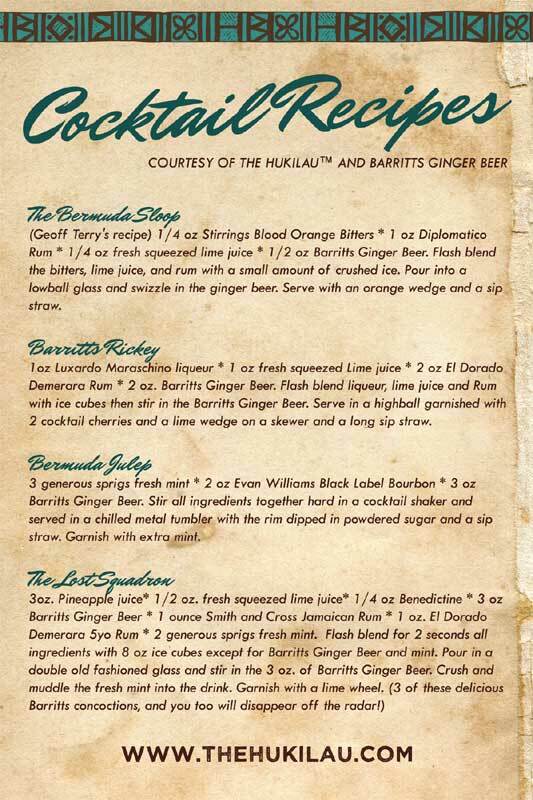 These original drinks will also feature some fine rums and are the handiwork of Basement Kahuna, The Hukilau’s vendor coordinator and chief cocktail maven. Also on Friday, between 2 and 5 p.m., head over to the Angostura Rum and Bitters booth in the bazaar for a sampling of cocktails from the sponsor’s brand ambassador, David Delaney. He’s an award-winning mixologist from Massachusetts who won a $10,000 contest last year that earned him his brand ambassador status for a year. Exclusive for The Hukilau this week, the Yankee Clipper will have not one but two special cocktail menus at three of its bars around the hotel. The poolside bar, the bar at the Dos Caminos restaurant near the lobby, and the famous Wreck Bar that hosts daily shows by Marina the Fire Eating Mermaid and friends all will serve a selection of tropical drinks selected by The Hukilau and the Yankee Clipper and featuring Barritt’s Ginger Beer and Fee Brothers specialty syrups. Look for the menu pictured above and ask for one of these tropical concoctions: Chief Lapu Lapu (rums, lemon, OJ, passion frut), Scorpion Bowl (Trader Vic’s classic mix of rums, juices, orgeat and brandy), Black Pearl (a creamy rum and coconut concoction), and Dark & Stormy (the classic rum and ginger beer drink). Also, the debut of the Barritt’s Ginger Beer cocktails was delayed until Friday. Look for this sign at the same three bars mentioned above and check out these great unique selections: The Bermuda Sloop (featuring Ron Diplomatico rum and Barritt’s), Barritt’s Rickey (Barritt’s, maraschino liqueur, El Dorado Demerara rum), Bermuda Julep (Barritt’s, Evan Williams bourbon, and The Lost Squadron (Barritt’s, Smith & Cross Jamaican rum, El Dorado Demerara rum, Benedictine). Click here to see the recipes. 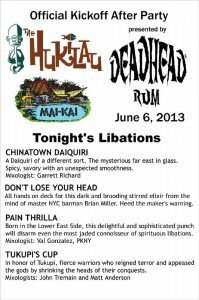 The venerable Polynesian restaurant on Federal Highway, around 6 miles northwest of the Yankee Clipper, hosts several special events including tonight’s Official After Party at 9 p.m. sponsored by Deadhead Rum. Look for the special menu at right containing four unique cocktails created for the event. Three come from a crew of New York City mixologists that includes Val Gonzalez of Tiki bar PNKY and Brian Miller of the roving weekly party Tiki Mondays with Miller. Check out the Chinatown Daiquiri (Deadhead, lime, ginger, honey), Don’t Lose Your Head (Deadhead, orgeat, cinnamon), and Pain Thrilla (Deadhead, pineapple, lemon). 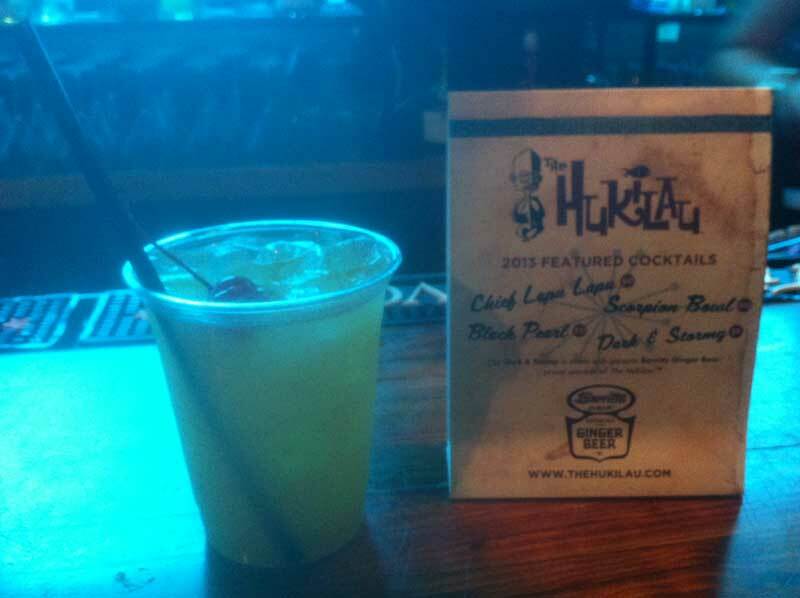 Also featured will be the winner of The Hukilau’s Deadhead Rum Cocktail Contest, Tukupi’s Cup (Deadhead, lime, passion fruit). In addition, The Mai-Kai will be offering special Mai Tais with sponsor rum Ron Diplomatico throughout the event. But the main attraction is undoubtedly the “regular” menu. As most tropical drink aficionados are well aware, The Mai-Kai is the mecca for classic, authentic cocktails that date back more than a half-century. 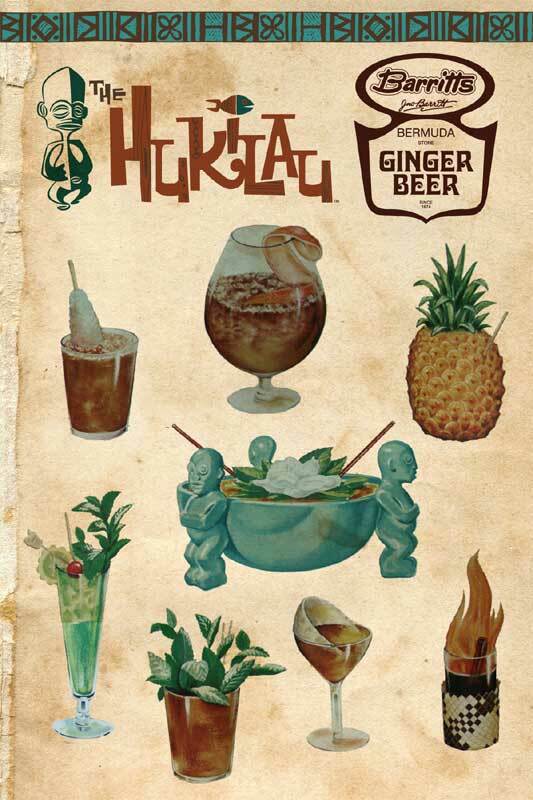 The vintage menu includes perhaps the best Tiki cocktails in the world, a vast list of 49 drinks, many direct descendants of pioneering mixologist Don the Beachcomber’s recipes from the 1930s and ’40s. You’ll want to take your time and explore this menu in depth, so be sure to budget enough time and money for The Mai-Kai. The Hukilau has events there on Thursday, Saturday and Sunday. Or you can take a reconnaissance mission on Friday. Also note that the hours at the restaurant’s elaborately themed Molokai bar are extended (late Thursday and Saturday, early Sunday) during The Hukilau. 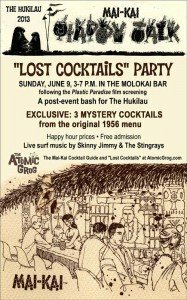 The Atomic Grog offers many resources to help you better understand and appreciate The Mai-Kai’s cocktails. 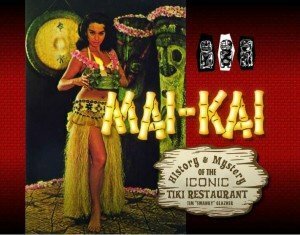 The Mai-Kai Cocktail Guide (aka Okole Maluna Society) is a vast collection of reviews and recipes. We offer in-depth analysis, photos and details on every drink on the menu, plus 11 “lost cocktails” from the past. There are 84 recipes broken down by “authentic,” “ancestor” and “tribute.” While many of the recipes are closely guarded secrets, we’ve been able to track down a large number of the original Don the Beachcomber recipes (thanks to cocktail historian and author Jeff “Beachbum” Berry) and also have a wide assortment of our own concoctions that come close to approximating The Mai-Kai’s unique flavor profile. If you’re a rum fancier, you’ll want to check out this guide to cocktails containing the rare Lemon Hart Demerara rum, which just returned to The Mai-Kai’s menu after The Hukilau last year. Those returning for the first time since last year are urged to try these classics that have returned to their original glory. 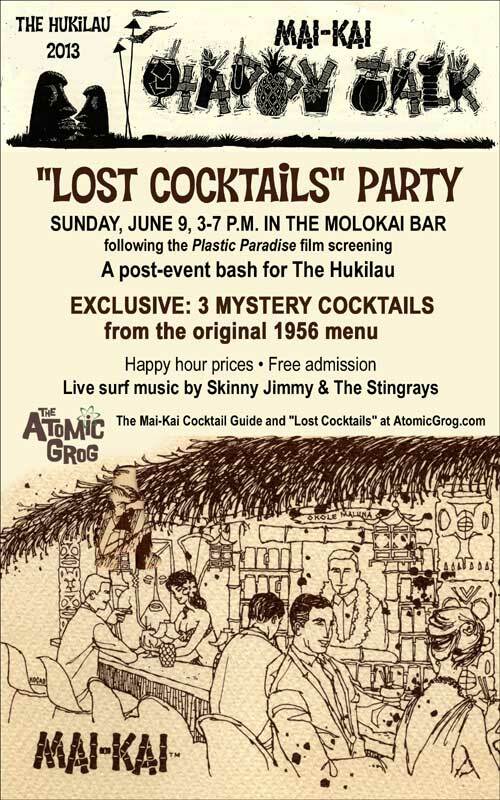 And as a gesture of appreciation to The Hukilau villagers, The Mai-Kai will be hosting a special post-event party on Sunday from 3 to 7 p.m. after the screening of the documentary Plastic Paradise (see flyer above). Happy hour prices will be in effect and for the first time in decades three “lost cocktails” from the original 1956 menu will be available. Several of these have been featured at special events over the past year but not on this wide a scale. And one of the three has not been served since the 1980s. It should be a treat for Tiki cocktail geeks. In fact, that’s the definition of the entire four-day weekend. 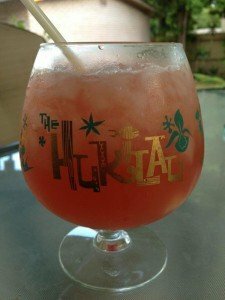 This entry was posted in 2013, Cocktails, Cocktails, Events, Events, Hukilau, Mai-Kai, Recipes, Rum, South Florida and tagged cocktails, Fort Lauderdale, Hukilau, Mai-Kai, Molokai bar, recipe, rum, Wreck Bar, Yankee Clipper. Bookmark the permalink.